Chanukah Takes on New Meaning …. When Ethan Kadish was struck by lightning just over a year ago, his family’s community in Cincinnati came together to provide the care and support they needed in inspiring and unexpected ways. Working with a nonprofit called HelpHOPELive, friends, neighbors, and local, national and international members of the Jewish community have helped raise funds to cover uninsured medical expenses related to Ethan’s care, which can exceed $100,000 per year. At the end of June 2013 Ethan was at URJ Goldman Union Camp Institute near Indianapolis playing Ultimate Frisbee with a group of friends. A sudden lightning bolt struck Ethan, causing a traumatic brain injury that has kept him from speaking or moving independently since. “Ethan was in the wrong place at the wrong time. He did nothing wrong. It could have been anyone,” says Ethan’s father, Scott. Ethan spent four nights in the Intensive Care Unit (ICU) at Riley Children’s Hospital in Indianapolis before being transported by Cincinnati Children’s Hospital’s Medical Transport Team to their ICU in Cincinnati where his family has lived for 16 years. But his local community sparked an effort to support him before he even arrived home. Their synagogue held a prayer service on July 2, 2013. Scott was raised to be conservative with his money. He works for a Fortune 500 company and has insurance coverage. But soon after Ethan’s injury the hospital’s financial advocacy group talked to Scott about what out-of-pocket medical expenses he may be facing. It wasn’t just a bill for the initial extended stay at the hospital. Long-term costs including accessible home modifications, uninsured medical and rehabilitation therapies, travel to specialized treatment centers, and 24-hour nursing care would all add up over time. In mid-July, several weeks after Ethan’s injury, Scott met with his rabbi and she suggested he speak with Rebecca Carr, director of fundraising and patient services for an organization called HelpHOPELive. Help Hope Live is a nonprofit that specializes in engaging communities in fundraising campaigns for people who need a transplant or are affected by a catastrophic injury or illness. Over the past 30 years campaigns organized by Help Hope Live have raised nearly $100 million to cover patient expenses. 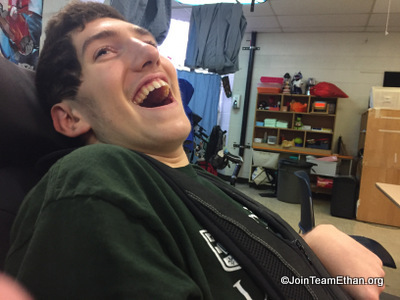 Soon an online presence was created and “Join Team Ethan” took off. The campaign to raise funds started with a home run derby and more than 30 events have been held in the past year. HelpHOPELive has oversight over all disbursements and donations are tax deductible to the contributors. Help Hope Live also provides promotional support and an online platform for accepting donations. And Ethan’s community has provided more than monetary support. Volunteers have helped with hot meals and even carpentry work. Ethan ended up spending 222 days in the hospital following his injury. To date his fundraising effort has benefited from more than 4,000 unique contributors – more donations than any other individual Help Hope Live campaign. Last year Ethan’s family and Help Hope Live met with the Jewish Federation of Cincinnati for a unique opportunity to brainstorm fundraising ideas. “Eighth Night for Ethan” was born… an annual event that asks families to dedicate their eighth Chanukah candle to Ethan and his recovery by donating to Help Hope Live in honor of Ethan. Participants are invited to post a photo of themselves lighting their eighth candle on the Join Team Ethan Facebook page or on Twitter with the hashtag #8NE2. 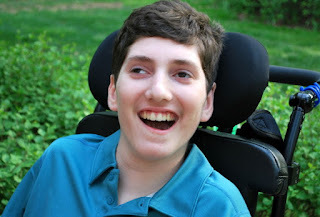 Participate in Eighth Night for Ethan at his campaign page – helphopelive.org.